When Teru's older brother died, she was left with little more than a cell phone containing the text-address of an elusive character named DAISY, who Teru's brother had told her would "support her when he was no longer able to." DAISY became Teru's pillar of strength, over the next few years as he sent her encouraging words through his phone, whether inspiring or mere chatter, as she faces her life alone. One afternoon, after bullies from the student council are mysteriously driven away, Teru accidentally breaks a school window, which results in her working for the grouchy, cruel school janitor named Tasuku Kurosaki. As Teru begins working for the unlikable school janitor, her feelings begin to surpass that of master and servant and she begins to question DAISY's true identity. Could Kurosaki be her beloved DAISY? Meanwhile, Kurosaki is finding himself steadily drawn to Teru. Will he "reach out" to her? * Well, actually.. This is the fourth manga I read and got excited of. But, the translated version's not yet complete. This is my treasure. I really love this manga! Really, really, really love it! Too bad there isn't an anime of this. I COMMAND FOR AN ANIME OF DENSY!! Teru is left all alone when her brother died with only the cell phone her brother gave her to keep her company. It is with this cell phone that she discovers the friend her brother left her in the one that calls himself DAISY. Teru's feelings for DAISY become that of a brothers as he is always there in the shadows, protecting and encouraging her through messages and sometimes physical acts (i.e. throwing tennis balls at bullies from afar, hacking the school computer system at her request), however their relationship has never gone beyond the bounds of Instant Messaging. At the beginning of the manga she is being bullied by the student council and after being maliciously drenched with a hose a mysterious ball flies onto the scene scaring the bullies off. As she tries to return the ball she accidentally throws it through a school window. This results in her meeting with the school Janitor, Tasuku Kurosaki, who demands payment for the window, however hearing Teru is financially incapable of paying for the window he makes her work it off, making her his "Slave" getting her to do his janitorial duties in his place. As the manga progresses, Teru's once negative feelings towards Kurosaki grow into something more romantic. However her suspicion grows that Kurosaki is in fact her beloved ally DAISY and that the phone her brother left her might be more than it appears. A 24 year old young man working as the school janitor. Kurosaki is often depicted smoking, drinking, and participating in violent acts. Despite his unpleasant attitude, he cares deeply for Teru, acting toward her with genuine kindness, and is extremely protective of her. 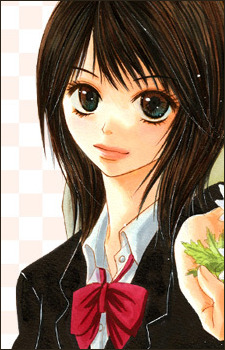 Teru is initially unaware that Kurosaki is also DAISY, a computer hacker who worked with her brother, Souichirou, and has been entrusted with looking after her. 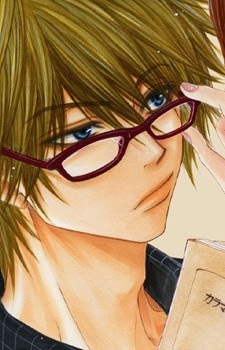 He is described by Teru's friends to be very attractive, though he does not generally display his emotions. He is often jokingly described as a pervert and a [lolicon] by his friends, as it is established among his closer companions that he has strong romantic feelings for Teru. Kurosaki has made it his mission to care for Teru on the request of his dying friend, Souichirou, though recently he has chosen to protect her as his true self also. Despite his strong feelings for her, Kurosaki believes that he has no right to love Teru as he is "the one that led her brother to his death." Throughout the manga he struggles between his feelings towards her and his own conflicting memories regarding his complicated past as a hacker. Chapter 32 is now out. Chapter 33 was published last July 2, 2011. Read it now, or die. Lalala ~ JK. huhuhu! Teru! You go for it! Ahh Dang Kurosaki/Daisy! He should just show up! Although... I can understand his feelings.. BUT! they should just keep it simple and frank. tssss!!! Can't wait for the next chapters! Yoohoo! DD Manga! Chapters 37, 38 and 39 are out! Uuuhhh... I really like Teru's brother. :3 Lalalala! Chapters 40 and 41 are out! Why Teru So Sweet? haha, And why did Teru suddenly get smart? Haha. Good for you, to have Kurosaki to stay by your side.. :3 DD manga is the best! I know right? But it doesn't get updated anymore. It's really sad since it's one of the few mangas I've read till the updated end. What chapter are you right now? You really did like it? It's not what boys prefer, though. hehehe!